[prMac.com] The Haight, San Francisco - Today the Big Stone Phone company released it's innovative new application for iPhone and iPod Touch 2 named "MobileMix" - the portable pocket music studio. MobileMix brings beatboxing to the iPhone. A loop machine of sorts, MobileMix lets you record individual tracks and play them all back at the same time, creating a grand orchestra from just a single voice. Or pass it around and let friends each layer a track. Introductory pricing: just $3.99 - but hurry, it won't last. 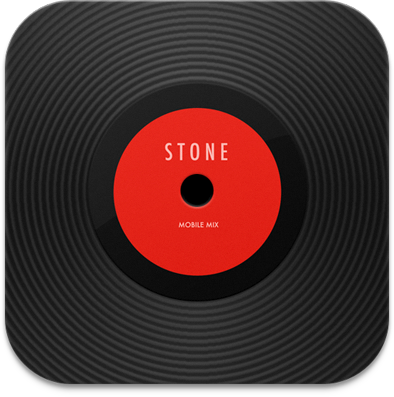 Stone Design is a New Mexico based software corporation founded in 1984 by Andrew Stone which has shipped over 20 titles for Mac OS X and its parent operating system, the NeXT, in the last 20 years. Major applications include Create, a page layout and web authoring app, iMaginator for image processing and Videator for video effects and VJ'ing. In the past year, in conjunction with BigStonePhone, has added 6 iPhone applications to the collection: TalkingPics for field photography and audio recording, iGraffiti which lets you paint on photos and share them, Gesture which lets you turn photos into digital paintings and share them, Twittelator Pro, the most feature laced twitter client for the iPhone/Touch, Pulsar the free pyschedelic strobe light and now SoundBite. BigStonePhone is a collaboration between Stone and Jeff BIggus of Hyperjeff, artist and Geoff Pado of CocoaType on SoundBite and MobileMix.